New charming online Gifts – Framed Shell Tile Circles are individually created ceramic tiles, comprising of varnished Seashells & Coral mounted on glass mosaic tiles. 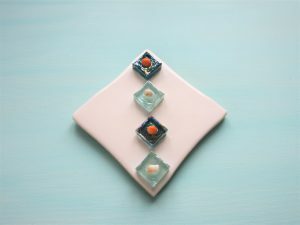 Each Shell Tile is a unique piece of handcrafted art work and is designed by the artist in her studio with a range of Seashells and Corals. They make a colourful gift and striking wall display. 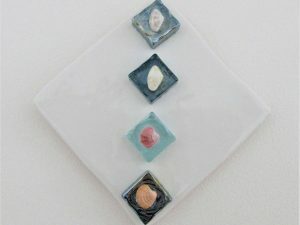 The Artist has been drawn to seashells and their prettiness from a young age and this coupled with her love of coloured glass makes an excellent setting for these unique art pieces. The Artist’s goal is to highlight the beauty of seashells in all their colours and diversity & our need to protect our amazing Oceans. These lovely seashells & corals have been hand collected from around our Irish coasts and beaches. They have been washed, dried and varnished in studio. Please click on the link for “In Studio” to see photos of the shell preparation process. The seashells included on these tiles range from; periwinkles, cockles, cowries, whelks, angers, sunrise tellins and limpets, to pieces of coral and sea urchins. 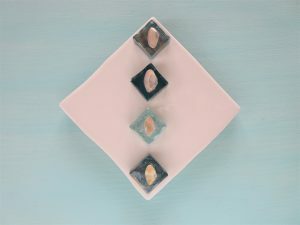 These unique Shell Tile Circles are designed with Irish Coastline Corals & Shells. They make beautiful gifts and attractive wall displays. 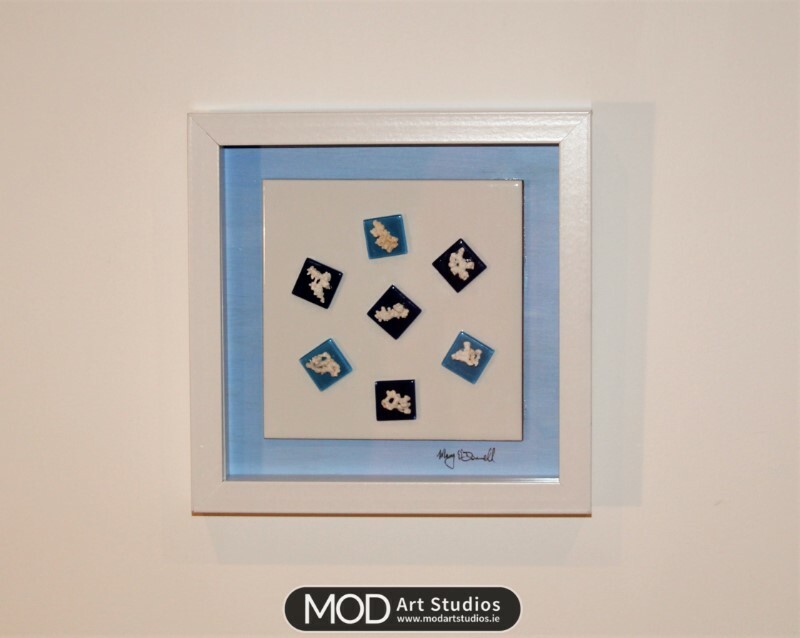 The Shell Tiles come with quality white shadow box frames. The ceramic tiles are white, 6 x 6inch square. They are also available unframed please email the artist. 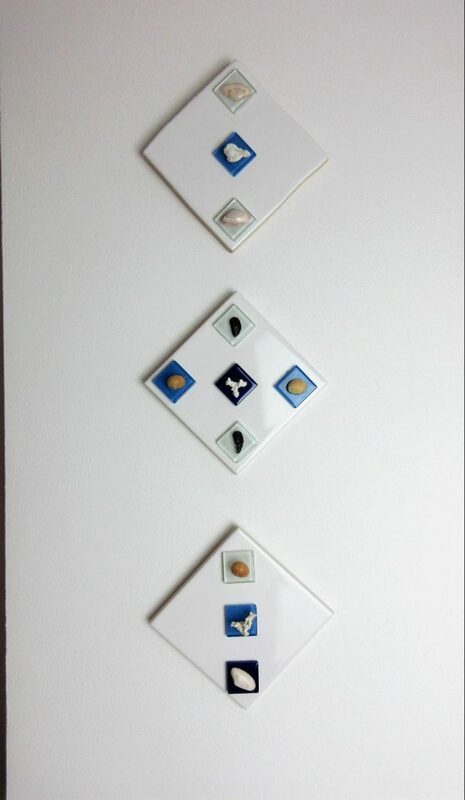 These Framed Shell Tile Circles are available in one size. Beautiful designs can also be achieved for larger wall areas with multiple Shell Tiles & Shell Tile Circles. These can be displayed vertically, diagonally or horizontally for increased impact. 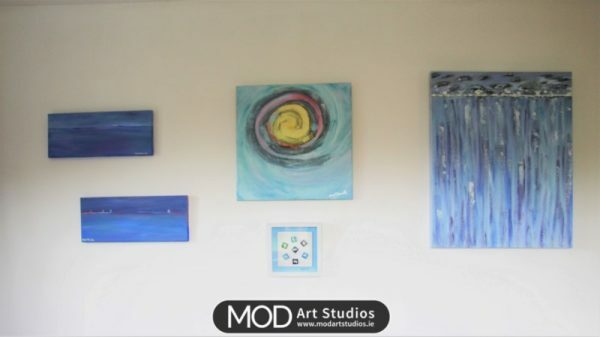 All Shell Tiles & Shell Tile Circles are Original pieces of Irish art and make lovely gifts which are available for shipping worldwide.